Imagine if you will, going to the dentist, laying back in the chair for your appointment and waking up later feeling refreshed AND with healthy teeth. Sound like it’s too good to be true? It isn’t! Oral Sedation Dentistry is a very real benefit of going to a dentist who is certified in the practice. But what is it? And, are there any inherent risks? Read on to learn more! This type of dentistry uses medication to aid patients in relaxation at their dental appointments. In most cases, the medication is a tiny blue pill that you take prior to your appointment with the dentist. The pill allows for moderate sedation, meaning you wake up feeling refreshed after your procedure with a beautiful and healthy smile. Are you someone who’s a little intimidated by the dentist? It could stem from one negative experience, or even a general fear of needles and noises. These reasons are perfectly good reasons to use oral sedation. Other reasons? If you have an intense gag reflex that can make an appointment challenging and uncomfortable. Or, maybe you might feel a bit embarrassed about your oral health. You may even be someone who needs an extensive amount of dental work or cosmetic dentistry and have a busy schedule and need it done all at once. If you can relate to any of these reasons (or have one you don’t see listed), you’re a good candidate for Oral Sedation Dentistry. Oral Sedation Dentistry has great number of benefits patients can enjoy. Not only can you rest while getting the dental treatment you need, but you can also save time by having extensive procedures done in one appointment. And, did we mention you wake up feeling refreshed AND with a healthy smile? Since there are inherent risks with anesthesia, those who have certain medical conditions (sleep apnea, obesity, etc.) should talk to their doctor first before undergoing procedures with Oral Sedation Dentistry. Who can perform Oral Sedation Dentistry? Most dentists can deliver minimal sedation for procedures, but it takes a dentist who is specially certified to administer Oral Sedation Dentistry to patients. 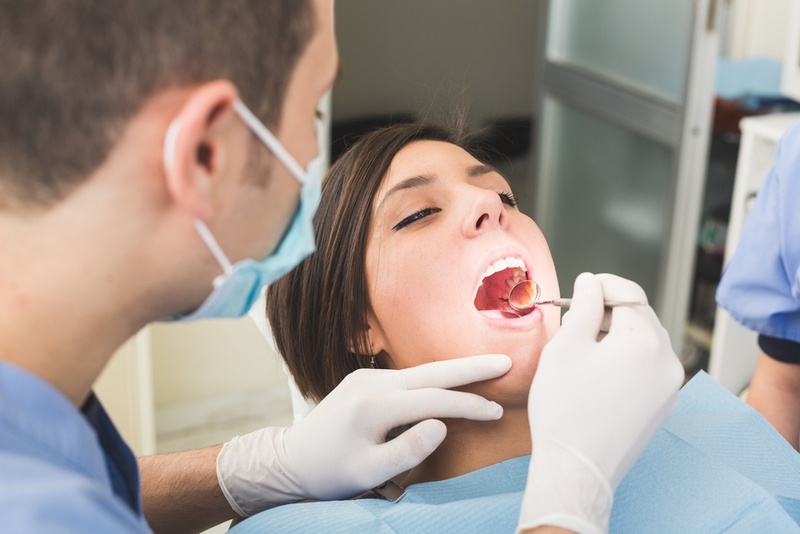 Because oral sedation is a more complex technique, dentists must undergo a program in deep sedation to qualify themselves as someone who can provide oral sedation. The dentists at West Chester Dental Arts have been doing sedation dentistry for more than fifteen years. During that time, they have had hundreds of patients visit the office and leave feeling refreshed and ready to show off their new smile. 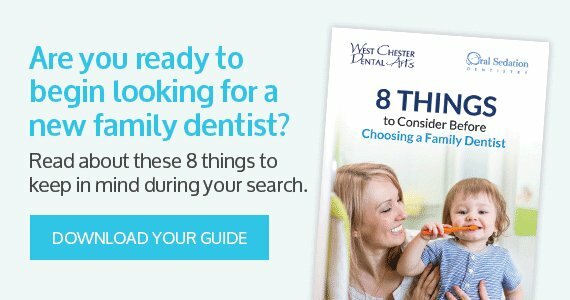 The team at West Chester Dental Arts is happy to help so many who have gone through a life of discomfort or pain and transform their smiles into beautiful and healthy ones. If you think Oral Sedation Dentistry is something that you could benefit from, come visit the team at West Chester Dental Arts and let us take care of you. We offer free consultations for oral sedation, so you can be well on your way to your ideal smile.